Did you ever know anyone who played church? Did you ever play church? I did. Back as a child I only went because parents made me. Going to church as a child helped me know there is a GOD. When they decided not to go I was excited because I could stay home on Sunday mornings and watch cartoons. 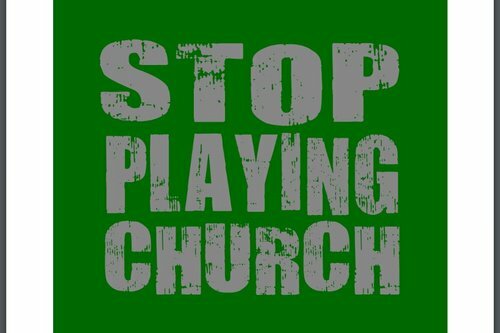 Playing church is about making going to church something on your check list. You know, go to church on Sunday, come home, mark it off your list of things to do. If you ever do that you are missing out on so much JESUS has to offer you. You can miss out on Blessings from HIM. If you’re not careful, you can miss out on a strong relationship with JESUS. People have said you don’t need to go to church to know JESUS. That’s true but you when you’re in this strong presence of the LORD together awesome things happen. Especially when we gather together at altar. People get filled with the Holy Ghost. People get delivered. People get healed. We don’t have time to play around. Tell people about JESUS. Playing church! I’m wondering, if JESUS looked down on all the churches. How many would HE say “You’re like little kids playing church.” No time for a prayer life; no time to develop a spiritual life. No time to get to know ME better. Just playing church. How many would listen to HIM?